The 18th annual ASR Cup promises to be an even more spectacular event than in the past – filled with gorgeous cruising, camaraderie amongst owners and captains, unique parties and sailing superyachts in pursuit of winning the 4th annual ASR Cup Trophy. Sail and motor yachts over 70’ are invited to join this prestigious annual race gathering and participate in the ASR Cup – where last year’s winner S/Y Aphrodite, once again took home the ASR Cup. The well-known and co-founding ASR Cup Organiser, Gordon Fernandes, enthused, “It’s a great pleasure to once again organize the ‘ASR Cup’, part of the Asia Superyacht Rendezvous, to be held at the beachside SALA Phuket Resort & Spa in Thailand. We have been organizing this special gathering for over 15 years and the feedback from the owners who have participated in the event has been very positive. 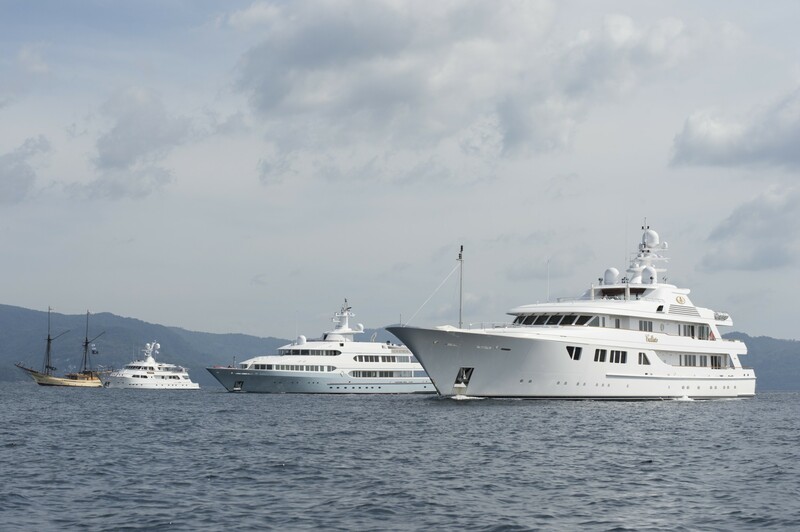 We look forward to another very successful ASR Cup and wish good luck to all participating vessels in joining the only on-water gathering of superyachts in Asia dedicated entirely to owners, their guests and families and captains and crew. The ‘Owners Dinner’ prepared by three international chefs brought in from SALA Resort & Spa properties on Day 2, the first day of racing will be proceeded by an impressive party aboard a stunning superyacht on opening night”. The event welcomes owners and their guests and captains and crew from around the world. Those interested are invited to join other boats planning to attend to request an invitation (Yachts 70’ min in length).